Germantown, TN--November 17, 2018-- Both Houston High School cheer teams competed at their state competitions in Murphreesboro at Middle Tennessee State University following their win at regionals earlier this month. 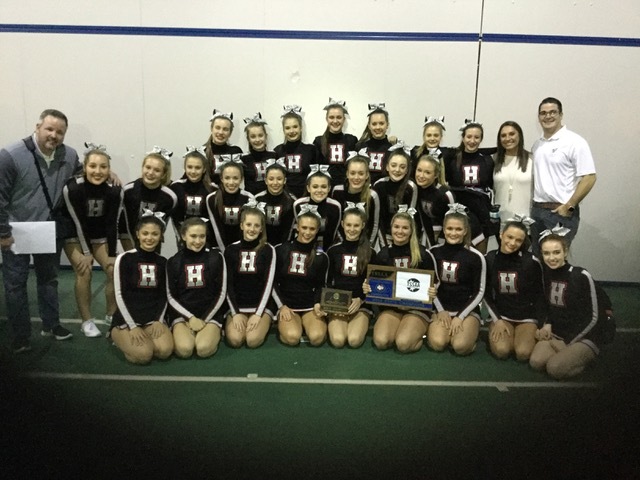 Houston High’s varsity cheer team competed in the Super Varsity Division in the TSSAA State competition, winning 1st place honors. Houston High’s junior varsity cheer team competed in the Junior Varsity Non-tumbling Division in the TSSAA State Cheer competition, winning 1st place honors as well. Chris Crabtree and Ryan Jackson coach both teams with Kelsey Woolfolk sponsoring the varsity team and Melissa Gray sponsoring the junior varsity team. Both teams will participate in the Memphis Pride Showcase benefitting St. Jude on December 8th and will go on to then compete at the UCA National High School Cheerleading Championship in February.